I am sharing a charming collection of 10 Pink Botanical Clip Art Vintage Images! Many of these delightful botanicals are from a late 1800s German Plant Books. We have many shades of florals below ranging from the palest pink to peachy pink, to deep, bright purplish pink. Make sure you enlarge each of these to see the detail on the Botanical Illustrations! There will be something here for all pink flower lovers. A beautiful Botanical image would be nice to use on Handmade Cards, Stationary, or perhaps on a pretty Decoupage project! This is the latest edition to this collection. 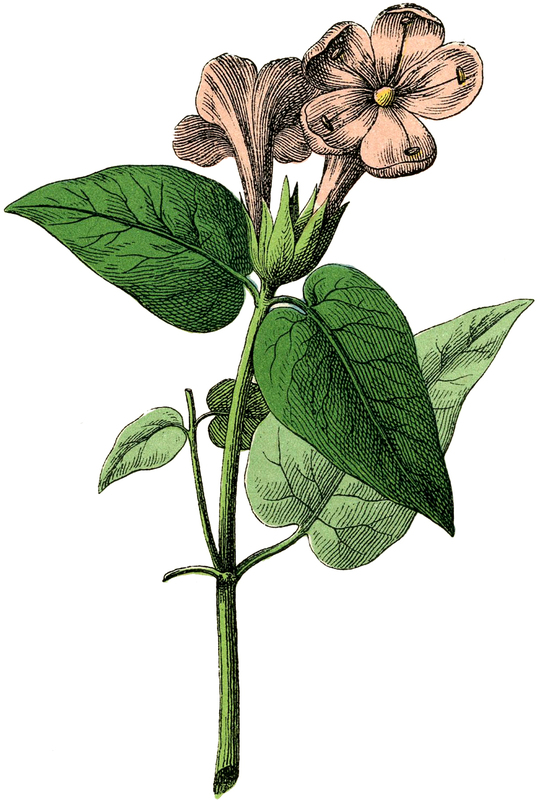 Shown above is a lovely little floral cutting, with bright green leaves and small pale Pink Blossoms on it. Featured above is a tall stem with cute pink blossoms and some spiky looking things! This one looks a lot like a Snapdragon to me, one of my favorite flowers as a child, but it may be something else as I’m not sure that the leaves are quite right. 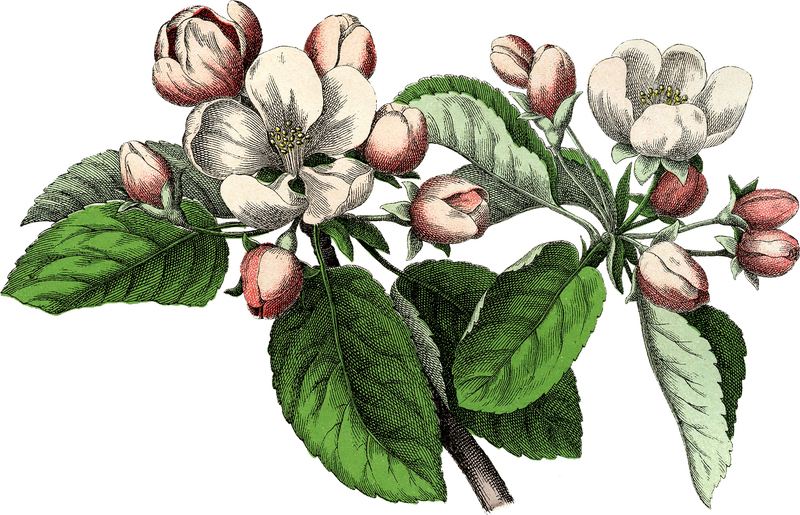 We start our Pink Botanical Clip Art Collection with this Gorgeous Vintage Apple Blossom Image! Featured here is an exceptionally lovely picture of an Apple Blossom Branch with delicate pale pink blooms! 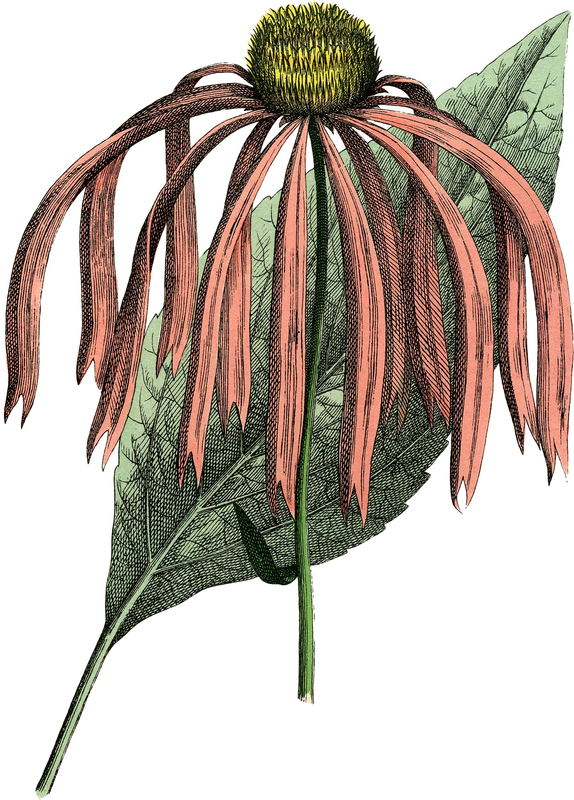 This Botanical Illustration was scanned from an amazing Antique Botanical book from Germany! The book is Circa 1890’s. There are all kinds of wonderful Flowers and Plants in it. Shown above is a Pretty Botanical Flower Stock Image! This flower has some lovely Soft Rose Pink Flowers with Green Leaves. Make sure you enlarge it to see the detail on this pretty Botanical! This one was scanned from a Circa 1887 German Plant Book. Above is a beautiful Pale Pink Botanical Flower Image! This plant has lovely Peach Pink Flower with Yellow Centers plus Green and Golden Leaves. I love the sketch of leaf shapes in the background. So pretty! This is a very Graceful Pink Vintage Flower image. This one comes from an Antique Botanical print in my collection. According to the print, this is an Oxalis Articulata, which turns out is a Pink Sorrel. It has delicate rose pink looking Flowers, and the leaves look similar to a shamrock or clover. Above is a tall spiked Botanical Flower Clip Art! This showy Floral Plant has delicate pink/purple Blossoms on it. This one was also scanned from the Circa 1887 German Plant Book. Our next Shapely Vintage Pink Petaled Flower Clusters Image is elegant! The little clusters of pinkish peach flowers sit atop sumptuous green leaves and a sturdy woody stem. 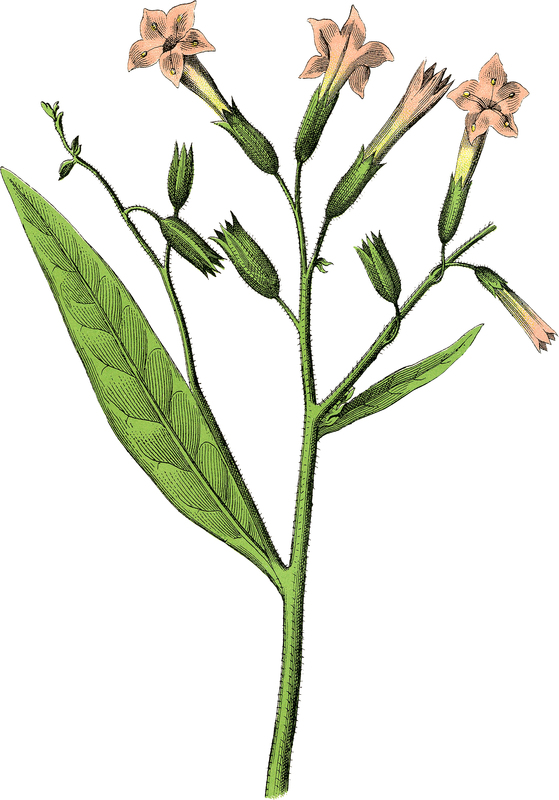 The five petals are pointed and cup like with yellow stamens. 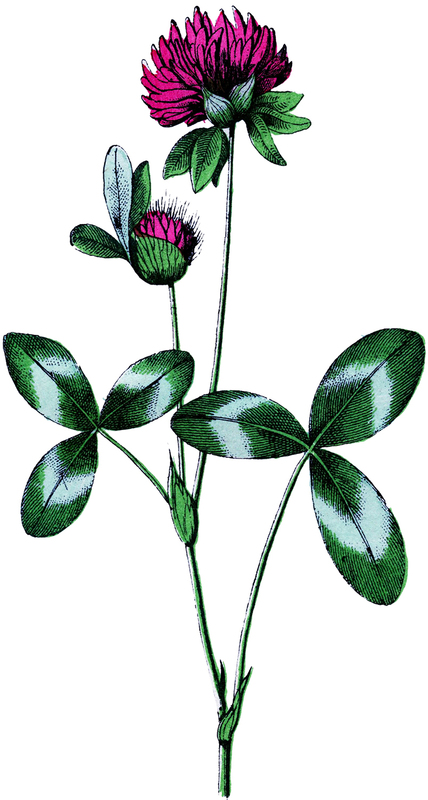 This is a tall, Stately Vintage Clover Flower Illustration! 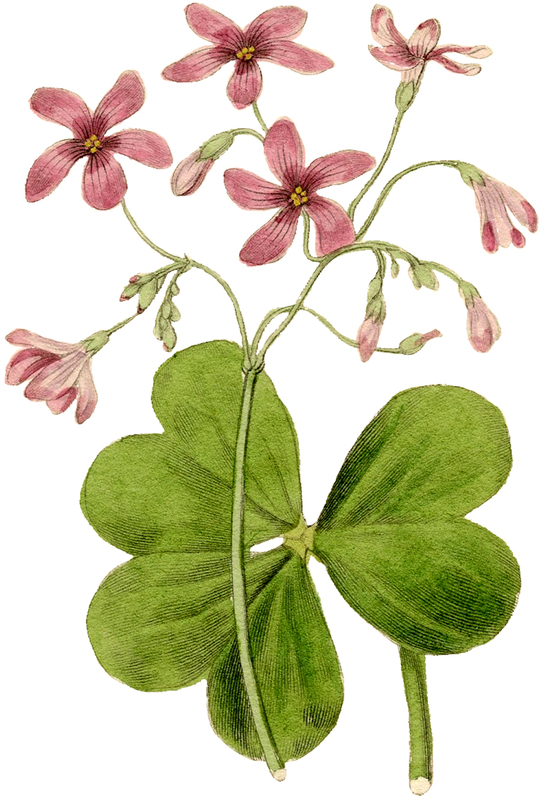 Shown here is a bright Pink Clover Flower with tiny dark Green Leaves. It is so simple yet quite lovely. 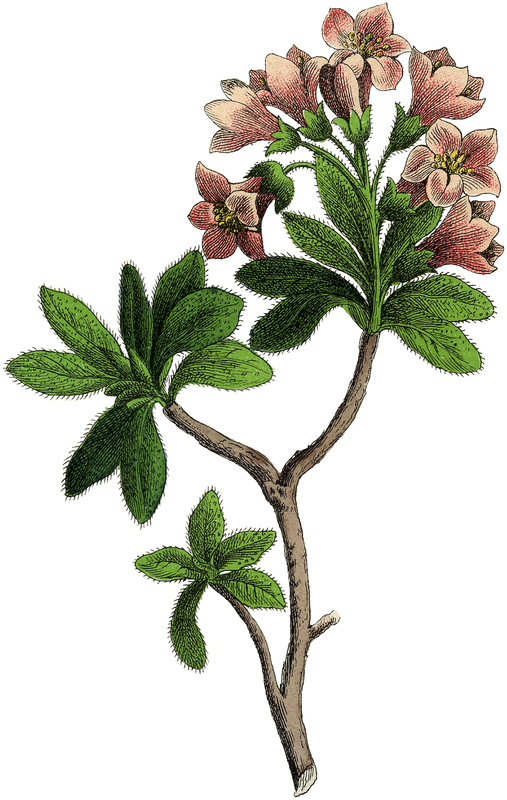 The final image from our Pink Botanical Clip Art Collection is a Stunning Vintage Pink Flower Drawing! Shown here is an exquisite fountain like Flower, with Pink Petals and a round Yellow Center. There is a large leaf in the background. 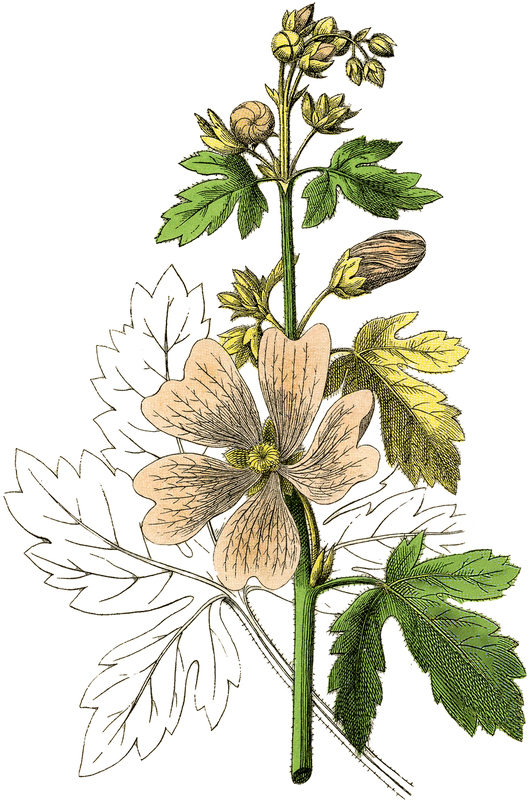 I hope you enjoyed this curated collection of 10 Pink Botanical Clip Art Vintage Images! For even more lovely Vintage Flower Images, be sure and check out the post 50 Favorite Free Flower Images HERE. Thank you for adding me to your site !! !